The Broadway smash hit comedy The Play That Goes Wrong, currently the longest-running play on the Great White Way, will launch a North American tour during the 2018-2019 season, including a 5-week engagement at the Ahmanson Theatre in Los Angeles. Additional cities and the touring cast will be announced in the coming months. Co-written by Mischief Theatre company members Henry Lewis, Jonathan Sayer and Henry Shields, The Play That Goes Wrong is a riotous comedy about the theater. The play introduces The 'Cornley University Drama Society' who are attempting to put on a 1920s murder mystery, but as the title suggests, everything that can go wrong…does, as the accident prone thespians battle on against all odds to get to their final curtain call. 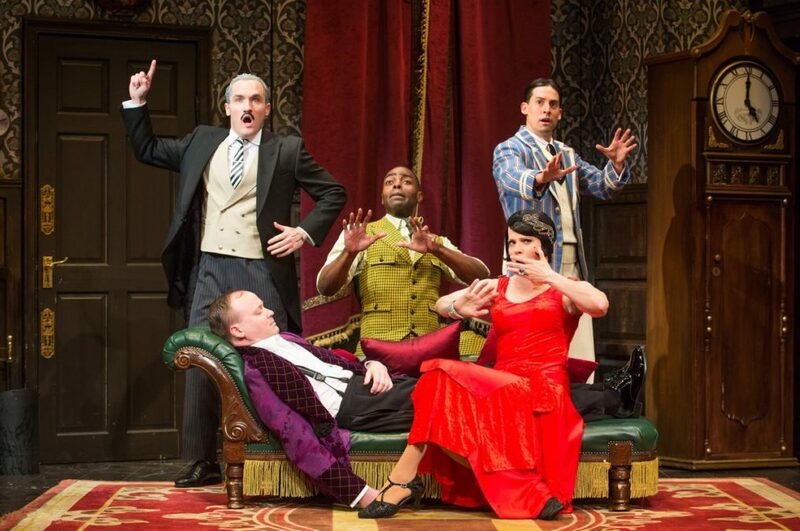 The Play That Goes Wrong is directed by Mark Bell, and features set design by Nigel Hook, lighting design by Ric Mountjoy, sound design by Andy Johnson and costume design by Roberto Surace. The Play That Goes Wrong won Best New Comedy at the 2015 Laurence Olivier Awards before transferring to Broadway's Lyceum Theatre in April 2017. The Broadway mounting won the 2017 Tony Award for Best Scenic Design of a Play (Hook) and is produced by film director J. J. Abrams (TV's Lost, Star Wars: The Force Awakens). The Play That Goes Wrong is now in its third year in the West End and is currently on a 30-week U.K. tour.